<firstimage=”//static.makeuseof.com/wp-content/uploads/2010/09/lovefeedburn.jpg”> If you run more than one blog or website, then you will know that keeping up with the syndication and promotion of everything new that you write can be a bit time consuming. You might remember to post your blog entry to Twitter or Facebook, but are you really distributing your entries as well as you could? There are countless resources throughout the web where you could turn your blog RSS stream into a syndicated feed. Subscribing to Feedburner or some other feed service is great, because there’s an existing user base searching those services for your feed, but there’s a lot more you can do to create a syndicated feed. Luckily, if you make use of Feedburner for your feed, then you don’t have to look very far for a tool that helps you spread the word every time you post an update. FeedBurner offers an awesome service called BuzzBoost, which dynamically converts your RSS feed into HTML. Then, you can embed that content into any webpage that you like. 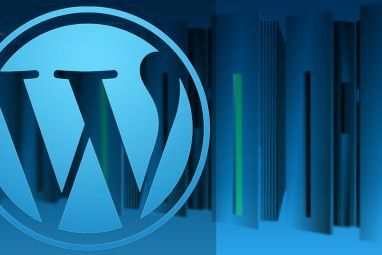 What makes this tool so useful is that you can distribute the content from your feed to any website, or you can use it to distribute your blog updates to any profile or portal site that allows for embedded HTML. To get started, just go into your Feedburner account, click on the “Publicize” tab and then click on BuzzBoost. Within the BuzzBoost configuration area is where you can configure how your feed will get displayed on the websites where you place the script. Ideally, it’s best to keep the updates to 4 or 5 updates from the feed for small widget or sidebar displays, or up to 10 updates if you plan on publishing the content to its own website. 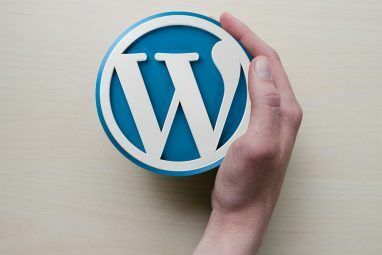 If you want to use your feed to create a syndication website or a “mini-blog” that promotes your “real” blog, you can do that by embedding your script right in the center of the webpage. A snippet of each blog update gets published automatically to the page, along with a link. This is a good way to capture traffic from various domains and draw them back to your central website where the content can be found. For example if you have a blog called “Mobile Geeks R Us” – you can register as many domains as possible related to that niche and then syndicate your content across all of them. Keep in mind that if your RSS feed is set up to output entire articles rather than just summary blurbs – people can use your feed in this way to copy your content. This is why it’s a good idea to keep your RSS feed configured to publish only blurbs from your content. Another very cool use of the BuzzBoost RSS-to-HTML utility is to create sort of a “portal page” that displays the content from all of your blogs. All you have to do is enable BuzzBoost for each of your Feedburner feeds, and then embed it into a table format on your personal bio website, featuring content from your blogs. You can also use this same tactic on all of the popular online portal sites that let you create “dashboards” (like Netvibes, which Angela previously reviewed How to Manage Your Life Completely Online Using Netvibes How to Manage Your Life Completely Online Using Netvibes Read More ) or content pages that you can make public. All you have to do is add an HTML widget, and then embed the script from BuzzBoost. The beauty of BuzzBoost is that unlike using RSS Feed widgets where you have to configure the display when you set up the widget itself, BuzzBoost lets you syndicate your feed all over the entire Internet. Afterwards, if you want to modify how the feed is converted to HTML and displayed, you can make those changes in one place on your Feedburner account, and the changes get distributed across all of the sites where you’ve placed the script. 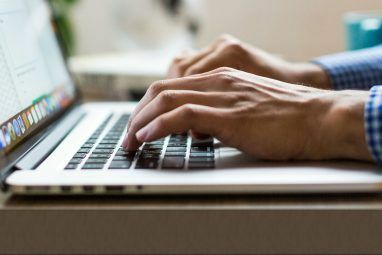 The key to syndicated feeds is getting your content in front of as many eyes as necessary, and BuzzBoost is one of the best tools I’ve seen that can help you do that. Do you have a Feedburner account, and have you ever tried BuzzBoost? What do you think? How do you syndicate your websites? Share your thoughts in the comments section below. Explore more about: Blogging, RSS, Webmaster Tools. Thanks for the great overview. I'm currently trying out BuzzBoost to embed a couple of blogger feeds in my website--a great service, though I wish there were an option to include a second link to the blog post at the end of each blurb (a "read more" link), in addition to linking from the headline. Amazing Google Feedburner Buzzboost doesn't work with Google Sites. Apart from content syndication, RSS feeds are good sources of backlinks to your main blog as well.